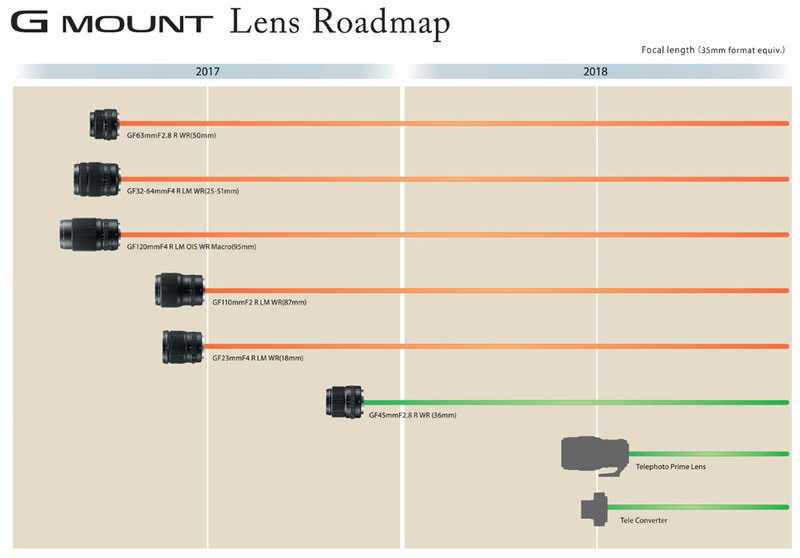 Fujifilm has released an updated lens roadmap, showing future lenses planned for the GFX system. The Fujifilm GFX 50s is Fujifilm's 50 megapixel mirrorless medium-format camera, which we currently have in the office for testing. So a crop factor of 0.79 - the GF110mm F2 could be a fab portrait lens.